Hello, I'm Liz Johnson your local therapist for Bark Busters Home Dog Training Middlesbrough. I’ve been working with Bark Busters in your area for over 10 years. My career as a dog trainer began in 2004 when I was living in London and working as a freelance journalist. I came across a story about Bark Busters having trained a nervous Rottweiler that had previously been too scared to leave the house (his owner had to carry him down the road)! After the Bark Busters training, he was being walked happily to the park twice a day, and the owners were delighted! As this was an interesting story with a happy ending, I rang Bark Busters head office and asked if they had any similar stories that I could write up and pitch to some of the newspapers I wrote for. The stories they shared with me were life-changing for the dogs and owners involved; but they also changed my life too. Although I had owned dogs all my life, I had never thought of working with them. 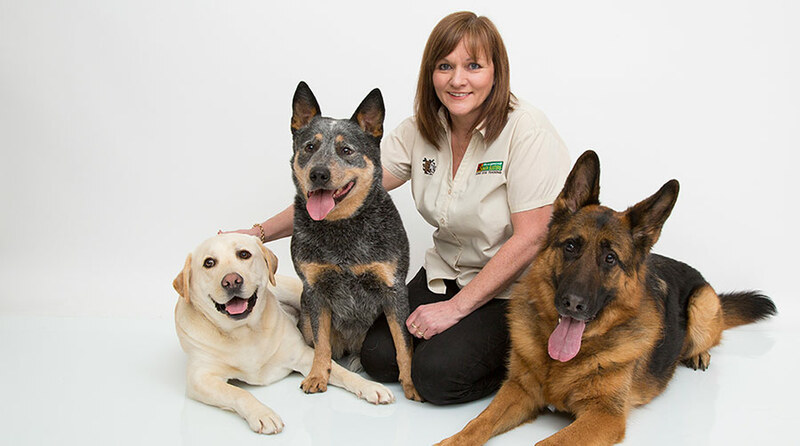 Once I learned about the great work that Bark Busters was doing with dogs around the world, I was inspired to train to become a Bark Busters behaviour therapist myself. At the time I had recently adopted a rescue dog who had many issues. He was dog aggressive, stranger aggressive, had no recall, and chased cars. His behaviour was a real problem, walking him was a nightmare, and my neighbours were starting to complain about his nuisance barking. He was the first dog that I trained using the Bark Busters communication method. When I saw the changes in him, and how quickly he began to relax and stop his unwanted behaviour, I couldn't wait to start helping other owners train their dogs. I moved back to the Middlesbrough area and have been working here, training dogs and their owners, for over a decade. I can help you with many dog behaviour problems using our easy to follow dog friendly training system. 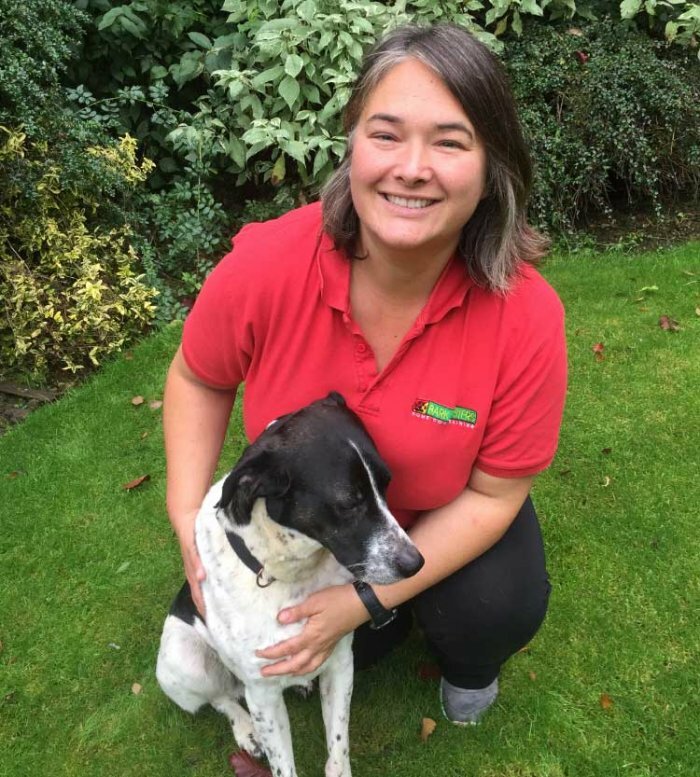 My experience means I am confident that, by using my methods, it is possible to resolve behaviour issues, have contented dogs and happy and empowered owners! That's why I love my job so much and why I'm so happy to be part of the Bark Busters team. I have learnt so much about dogs and people during my time with Bark Busters and I enjoy passing on as much of my knowledge as possible to dog owners. It is so rewarding to see people who have been at their wits end take control of the situation and improve the bond they have between themselves and their dogs. I particularly love seeing them begin to enjoy their dog once more. Whatever problem you are experiencing with your dog, I’m confident I can help. Whether it is separation anxiety, pulling on the lead, recall, barking, sibling rivalry, dog aggression, stranger aggression, jumping up, or any other form of unwanted behaviour that your dog may display, I can assure you that I will have come across people in the same situation as you. I will be there to show and guide you through the training process without judgement. Bark Busters have been training dogs for over 28 years. We are constantly working with owners and examining every aspect of a dog's life that might affect their behaviour. Our aim is for you to enjoy your life with your pet and for your pet to enjoy its life with you. Time spent with your dog, should be a pleasure for you both, and walks shouldn’t be a nerve-wrecking chore you try to avoid. As my training is one-to-one, in your home at a time to suit you, you can be sure that you will have time to tell me all about the issues you are having, then you will have lots of opportunity to learn and practise the training techniques that I will guide you through. My Support Guarantee gives you the reassurance that I will support you for the duration of our service. Let me help you to help your dog become the best it can be!